Welcome to my homepage. I'm currently a Senior GPU Architect working for the Graphics Architecture group at NVIDIA Corporation. 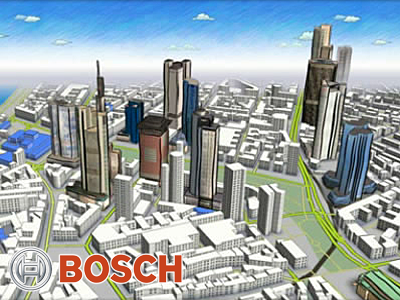 Before joining NVIDIA, I was a Senior (Graphics) Research Scientist at Bosch Research (Palo Alto, CA). I obtained my Ph.D. in 2011 from The Hong Kong University of Science and Technology (HKUST, Dept. CSE), advised by Prof. Pedro V. Sander. My thesis focuses on efficient image-space data reuse techniques for rendering and image processing. Previously I have also studied in Xidian University (2000-2004) and Tsinghua University (2004-2007), and have spent most of my early life in my hometown Xi'an, China. This website contains a somewhat up-to-date collection of my work, along with some other related information. My main research areas and interests throughout my professional career. Peer-reviewed journal/conference publications on real-time computer graphics. 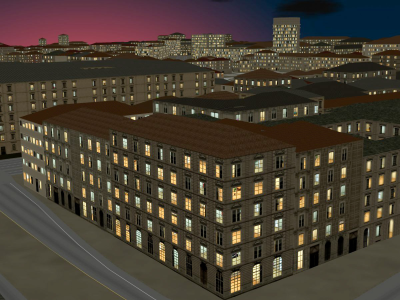 Procedural Window Lighting Effects for Real-Time City Rendering. Jennifer Chandler, Lei Yang and Liu Ren. 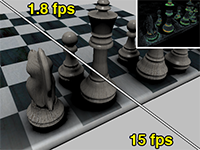 ACM SIGGRAPH Symposium on Interactive 3D Graphics and Games (I3D) 2015. Ge Chen, Pedro V. Sander, Diego Nehab, Lei Yang and Liang Hu. 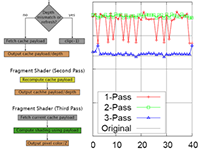 ACM Transactions on Graphics, Volume 31, Issue 6 (Proceedings of SIGGRAPH Asia 2012). 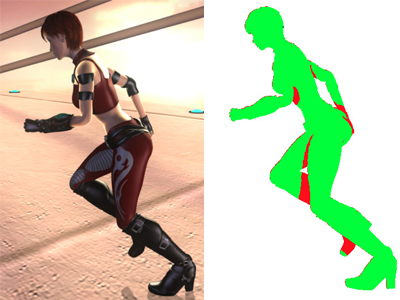 Temporal Coherence Methods in Real-Time Rendering. Daniel Scherzer, Lei Yang, Oliver Mattausch, Diego Nehab, Pedro V. Sander, Michael Wimmer and Elmar Eisemann. 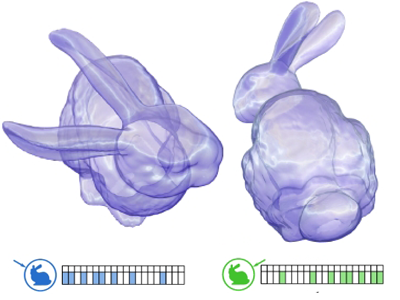 Per-pixel translational symmetry detection, optimization, and segmentation. Peng Zhao, Lei Yang, Honghui Zhang and Long Quan. Lei Yang, Yu-Chiu Tse, Pedro V. Sander, Jason Lawrence, Diego Nehab, Hugues Hoppe and Clara L. Wilkins. ACM Transactions on Graphics, Volume 30, Issue 6 (Proceedings of SIGGRAPH Asia 2011). Lei Yang, Pedro V. Sander, Jason Lawrence and Hugues Hoppe. ACM Transactions on Graphics, Volume 30, Issue 3 (Presented at SIGGRAPH 2011). 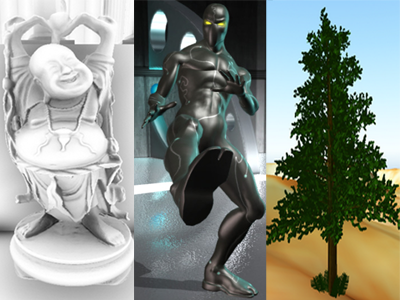 A Survey on Temporal Coherence Methods in Real-Time Rendering. 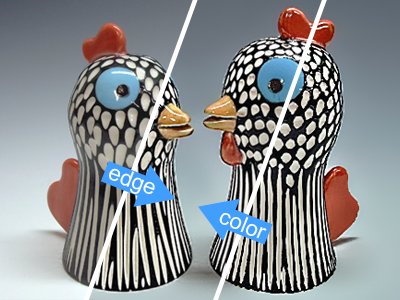 Eurographics 2011, State of the Art Report. 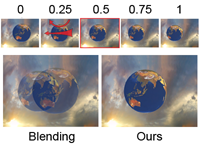 Exploiting Temporal Coherence in Real-Time Rendering. Daniel Scherzer, Lei Yang, Oliver Mattausch. ACM SIGGRAPH Asia 2010 course. Lei Yang, Diego Nehab, Pedro V. Sander, Pitchaya Sitthi-amorn, Jason Lawrence and Hugues Hoppe. 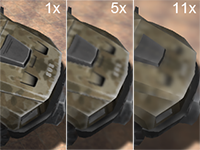 Automated Reprojection-Based Pixel Shader Optimization. Pitchaya Sitthi-amorn, Jason Lawrence, Lei Yang, Pedro V. Sander, Diego Nehab and Jiahe Xi. ACM Transactions on Graphics, Volume 27, Issue 5 (Proceedings of SIGGRAPH Asia 2008). Geometry-Aware Framebuffer Level of Detail. Lei Yang, Pedro V. Sander and Jason Lawrence. Computer Graphics Forum. Volume 27, Number 4 (Proceedings of Eurographics Symposium on Rendering 2008). 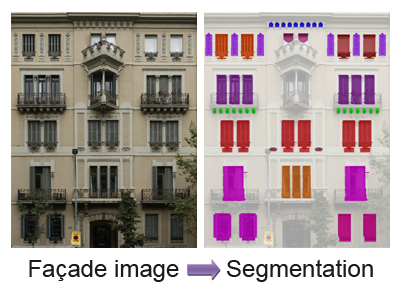 An Improved Shading Cache for Modern GPUs. Pitchaya Sitthi-amorn, Jason Lawrence, Lei Yang, Pedro V. Sander and Diego Nehab. ACM SIGGRAPH/Eurographics Symposium on Graphics Hardware 2008. 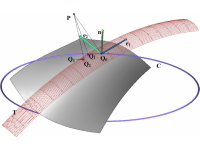 A Torus Patch Approximation Approach for Point Projection on Surfaces. Xiao-Ming Liu, Lei Yang, Jun-Hai Yong, He-Jin Gu and Jia-Guang Sun. Computer Aided Geometric Design. Volume 26, Issue 5. My work experience in the computer graphics industry. 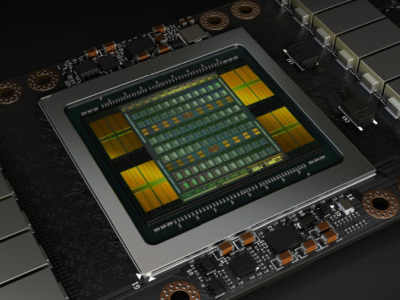 GPU Graphics Architecture Group - NVIDIA Corporation. 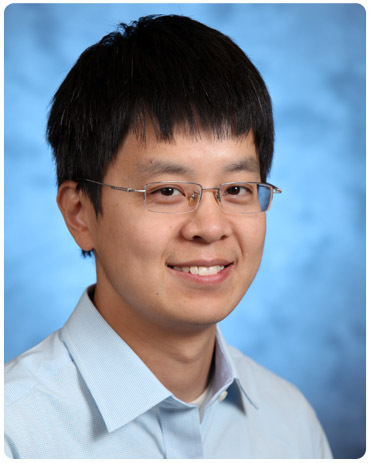 Senior GPU Architect, Jun. 2015 - Now, Santa Clara CA USA. Focus: Research and development of new graphics architectures and GPU-centric graphics features powering NVIDIA's next and future generations of GeForce and Quadro GPUs. Bosch Research North America - Robert Bosch GmbH. Senior Research Scientist, Dec. 2011 - Jun. 2015, Palo Alto CA USA. Focus: Conduct research, development and technical scouting in the field of computer graphics, high performance rendering, mobile graphics and geovisualization. Black Rock Studio - Disney interactive Studios. Research Intern, Jun. 2010 - Aug. 2010, Brighton UK. Focus: Design and implement an efficient filtering algorithm for generating high-quality motion blur effects in real-time. The prototype was implemented and tested on a commercial racing game with XBox 360. Advanced Technology Labs - Adobe Systems Inc.
Research Intern, Jun. 2009 - Sep. 2009, San Jose CA USA. 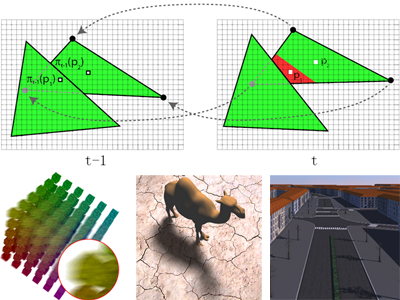 Focus: Design and implement an algorithm for accelerating diffuse indirect illumination computations in ray-tracing by exploiting spatial coherence. 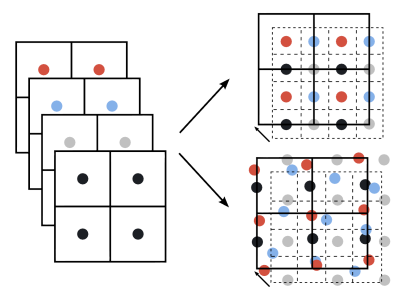 The proposed algorithm significantly improves the convergence rate of a progressive render subsystem. A US patent was filed for the proposed method. Developer, Jun. 2005 - Jul. 2007, Beijing China. 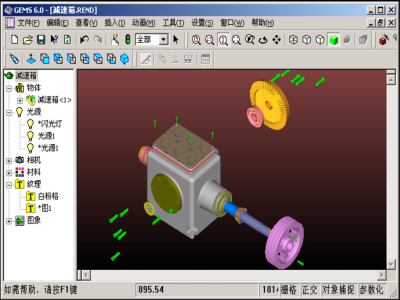 Focus: In a commercial 3D CAD system TiGems, maintain and improve the geometric intersection library, which contains several hundreds of intersection algorithms; structure and implement a new curve/surface modeling module in the system; design new UIs and features for basic modeling functionalities. My professional activities and services in academia. Courses that I have co-instructed or assisted in teaching. Core courses taken during my postgraduate study. Western classical music always fascinates me. I love listening to and studying the masterpieces of almost all genres. Besides the heart-touching experiences, it is always fun and rewarding to make even a tiny discovery in a beautiful work. Towards deeper understanding, I still need to grab more systematic knowledge on harmonics, music form and other important music theories. I have been learning to play the violin for more than 10 years. It is such a great instrument that I plan to spend my whole life to master the virtuosity. I had also been a member of Tsinghua University Symphony Orchestra (TUSO) from 2004 to 2007. During the period, we rehearsed more than 20 masterworks and gave many concerts inside and outside the university.